Last month, mobilizing interest rates recorded a hike of around 20-30 basis points for above-six-month terms at some banks, maintaining at 4.3 percent to 5.5 percent per annum for terms from one to below six months; 5.5 percent to 7.5 percent for terms from six to below 12 months; and 6.4 percent to 8 percent for terms from 12 to 13 months. SSI said that interest rates were pinned at high levels since late December. Besides increasing capital mobilization to meet the requirement to reduce the proportion of short-term capital in middle-and-long-term loans, interest rates are kept at high levels because several commercial banks have promoted loans to individual clients at reasonable interest rates that ensure necessary profitability. Therefore, other banks also have to maintain their interest rates at the same level so as not to lose capital mobilization market share. 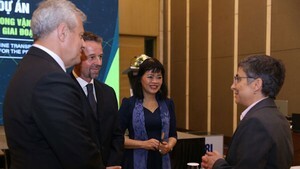 According to SSI, although foreign currency supply in next months might encounter a slump, the exchange rate between the US dollar and Vietnamese dong will still be stable, firstly, due to positive developments of the negotiation between the US and China which back stability of the Chinese yuan renminbi, hereby lessening pressure of the US dollar on the Vietnamese dong. Secondly, the difference of interest rates between the US dollar and Vietnamese dong remained at high level of 1.5 percent – 1.7 percent per annum. Lastly, Vietnam’s foreign exchange reserves have been fortified and at the highest level in the history which will help the State Bank of Vietnam to stabilize the market when there is fluctuation. Therefore, SSI forecasted that the US dollar exchange rate would be maintained steadily around VND23,200 per dollar. 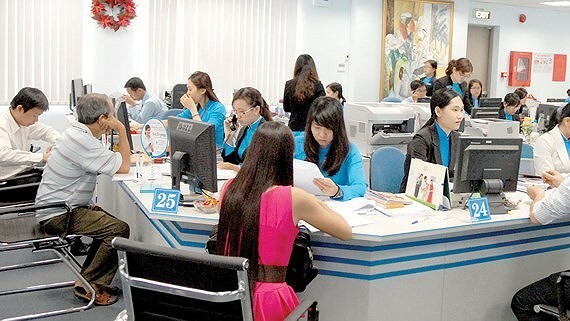 In the first quarter of this year, the State Bank of Vietnam withdrew nearly VND80.69 trillion (US$3.47 billion) via open market but bought in nearly $6 billion, equivalent to VND150 trillion being pumped out into the market.